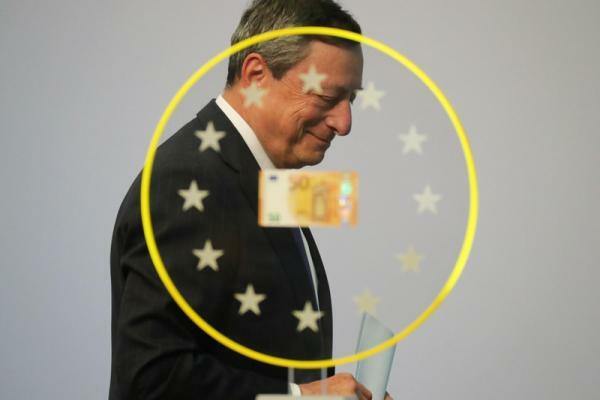 Investing.com – The probability of a European Central Bank rate hike by June 2019 ticked higher on Wednesday after hawkish comments by central bank officials reinforced the notion that monetary policy normalization is still on track. Money markets have now almost fully priced in the probability of an ECB rate hike by June 2019 after remarks by policymakers bolstered expectations that the bank will wind up its bond buying stimulus program this year. Meanwhile, the probability that the ECB will raise interest rates by July 2019 rose to 70% on Wednesday, up from around 50% at the start of the week. The ECB’s Chief Economist Peter Praet said earlier Wednesday that officials are increasingly confident that inflation is rising back towards the bank’s target and will next week debate whether to begin gradually scaling back its asset purchase program. The remarks were echoed by Jens Weidmann, president of Germany’s Bundesbank and a member of the ECB’s governing council. The comments came after reports overnight that the ECB’s upcoming June meeting could see an announcement on when its monetary stimulus program would end. Many traders had believed the bank would hold off on giving any new forward guidance this month amid uncertainty caused by political developments in Italy.